Bénédicte Deleporte, founder of the Deleporte Wentz Avocat law firm has many years’ experience in computer and information technology law, acquired in private practice and as in-house counsel for multi-national companies. 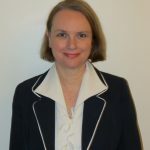 Bénédicte Deleporte started her professional career in 1989 with the Alain Bensoussan law firm, a prominent French firm specialized in IT law. Her responsibilities included counseling businesses, computer contract drafting and negotiating for French and international clients and arbitration. In 1993, she decided to pursue her career in-house and became the legal director (EMEA) for Network Equipment Technologies (N.E.T. ), an American company manufacturing networking equipment. Her activities focused primarily on supporting the products and services distribution strategies in France and in the rest of Europe, including drafting, negotiating and closing contracts for the marketing, sales, distribution, maintenance and support of N.E.T’s hardware and software products. 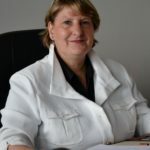 In early 2000, Bénédicte Deleporte joined a team of entrepreneurs in Brussels (Belgium) as General Counsel to assist with the launch of Planet Medica, a pan-European internet start-up company. Her responsibilities included ensuring the legal compliance of seven web sites across Europe (compliance to local laws, domain names, user agreements, site content, interactive on-line tools and services), developing the company’s contractual strategy, negotiating contracts with the suppliers and services providers, and coordinating the set up of the headquarters and subsidiaries in six European countries. In 2001, Bénédicte Deleporte moved back to Paris and joined eBay France as legal director. At eBay her practice focused primarily on web site legal compliance issues (commercial law, consumer law, intellectual property, liability, internet and e-commerce law), privacy/data protection regulatory affairs and litigation. Bénédicte Deleporte is a member of the Paris Bar. She founded the Deleporte Wentz Avocat law firm in 2007. Listed on the WIPO list of arbitrators. Bénédicte Deleporte holds law degrees from Paris universities (Maîtrise en droit, Paris XI University – Jean Monnet Law School; and DEA en droit économique international, Paris I University – Panthéon Sorbonne Law School) and from the US (Master of Public Affairs, Indiana University – Bloomington; and Master of Laws – LL.M, University of Iowa). Danièle is a French attorney who brings an additional array of expertise in the areas of business law, computer law and public law (public tenders for IT services and infrastructures). Sophie brings her expertise in French labor law (employment and social security matters) and provides legal advice and assistance in case of litigation : individual labor relations (employment contract, disciplinary law, terminations for personal or economic reasons) ; collective labor relations (elections or personnel representatives, management for their representative bodies, working time, social security audits, social security inspections). Deleporte Wentz Avocat has offices in Paris and Singapore. We also work in close contact with a network of independent attorneys, both in France and abroad who practice in similar and complementary areas and work according to the same philosophy of proximity with our clients, pragmatism, flexibility, responsiveness and cost control. In France, we collaborate with attorneys who bring expertise in complementary areas of law, including Company law, Mergers & acquisitions, Business tax law, White-collar crime, and Labor law. Our international network of attorneys includes the following countries: England, Germany, Italy, The Netherlands, Spain, Switzerland, United States (California), China, Hong Kong and Singapore. © 2008-2018 Deleporte Wentz Avocat.